How true is this for you? Are you looking inward? Take time to reflect on your actions (or inaction) and see what you can do to improve to help you get better results. Blaming external forces and offering excuses will not take you far? What excuses have you come up with lately? How can you squash them? How can you work on what you can control instead? P.S. You will see more outfit posts soon. 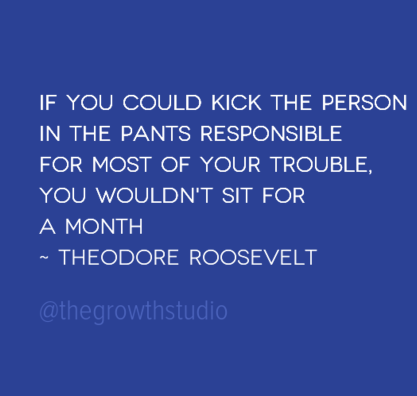 I've been so busy with the Growth Studio that I haven't been able to focus on the blog.